After finishing this book, the only thing that kept me going was the fact that there's also a novella in the Covenant series. 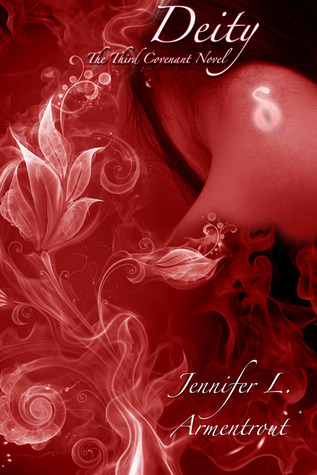 Once again, I have to commend Jennifer L. Armentrout on her ending. People who've read Pure will know what a cliffhanger it ended on. The lives of Alex, Aiden and Seth all depend on a secret. I remember reading through Half-Blood and Pure and nearly throwing the book across my room. Obviously I didn't, because I was reading it on Kindle, and I was not going to injure my precious Kindle. The cause of my frustration was Alex and Aiden - they're perfect for each other. So why weren't they together already? For me, one of the most aggravating parts of a book are when the two main characters aren't admitting their love for one another. We all know they love each other and they know they love each other and most of the characters in the book know they love each other. But what are they doing about it? Nothing. Luckily for all those Alex and Aiden shippers out there - like me - something does happen - yay! So, you know. If you're reading the book and feel lost and don't think it's grabbing your interest, you have something to look forward to. We all know that Alex's Apollyon time is nearing - the time when she'll Awaken. I can tell you that we do get far enough to reach that point, but I'm not going to reveal her reaction. It ends at a cliffhanger, and it's something I'm really looking forward to in the next book, Apollyon. Thing is, it's being released in April 2013. Sigh. You can read my review for the previous two books, Half-Blood and Pure. 5/5 Stars - This series is doing bad, bad things to my bookish thoughts. In a good way.